Harrison "Harris" Tate was a professional thief, but now he works for those trying to get stolen paintings and other items back to the rightful owners without going through all the red tape of governments. He has worked for insurance companies and even Interpol, but on the day he is to steal a painting from the home on Tabitha Island, he comes in at the end of a killing. And he has to run before he is blamed for killing Tabitha Wright. He is the only one that knows for sure that Gabby didn't kill her. Gabrielle “Gabby” Wright has been the outcast of her family for many years. Both her parents died a few years back and her sister was murdered a little over a year ago. Gabby has returned to the family island to try to help figure out who killed her sister. With her Uncle Stephen there and he is always blaming her for Tabitha's death and trying to make her feel guilty. Gabby just wants someone to believe her when she says she didn't kill her sister. While Harris is there to help Gabby and keep her safe, he has to lie to her or she really will hate him. Will they be able to trust each other and find out who killed Tabitha? Will Harris and Damon be able to find out the truth before whoever killed Tabitha comes after Gabby? Will Gabby trust Harris enough to tell him all of her secrets? Can Harris trust her and himself to tell Gabby the truth about his involvement in her sister's death? This is a first for me from this author and I really enjoyed the suspenseful storyline. It was a great story that had me hooked from the beginning, and I didn't want to put it down because I had to know how it ended. Now I want to go back and read the others in this series. So if you are looking for a good suspenseful who-done-it, then this one is for you. So I hope you enjoy it as much as I did. Harris is trying to right a wrong from several years ago. When he realizes that an estate and town are still not over the murder that he stumbled on, he has to head back to make sure that Gabby doesn't take the fall for something she didn't do, but has been blamed for since the day her sister, Tabitha, was murdered. Gabby's uncle has been unrelenting in his disgust for Gabby. He thinks of her as spoiled and he isn't willing to even consider that she didn't murder her sister. Despite Gabby's reservation for going back home, she wants to find out what happened to her sister just as much as her spiteful uncle does. This is truly a great mystery story. There are so many characters and possibilities. I love how protective Harris is of Gabby and despite the deception, they develop a fairly organic relationship. I didn't think that you needed to read the previous books to understand this one, but since I enjoyed this one so much, I might have to go back and read the first few books. This is a wonderfully classic murder mystery and I loved the psychological suspense in this story. A wealthy heiress is murdered and everyone on the secluded island is a suspect. There is a bitter family feud and dark secrets for Harris and his high-tech team to unravel. I love the characters. Harris is a brilliant anti-hero. He’s a slightly reformed art thief turned investigator with secrets of his own. Gabby is everyone’s favourite suspect and she doesn’t help herself with the secrets she holds close. Add in her scheming uncle, the island’s caretaker and his family, and the man who ferries guests and residents between the island and mainland, and the author has created a diverse group of suspects worthy of an Agatha Christie novel. I didn’t figure it out until the end. And I love that. It was hard to invest in the romance between Gabby and Harris when I didn’t completely trust either of them – but I kinda loved that too. I haven’t read the two earlier books in this series, but I don’t feel like it detracted from this story, but I will definitely go back and read them both. I’ve been a fan of this author’s m/m books for a while, but this is the first of her m/f stories I’ve read. And I’m impressed. I love the quality of writing here. 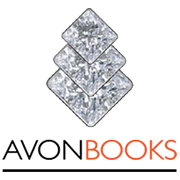 The story has been carefully crafted, tightly edited, and perfectly polished. Highly recommended! 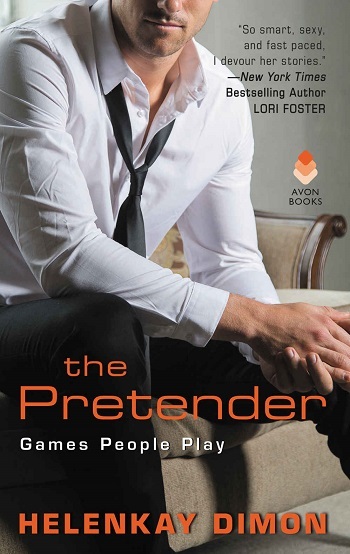 Reviewers on the Wicked Reads Review Team were provided a free copy of The Pretender (Games People Play #3) by HelenKay Dimon to read and review.